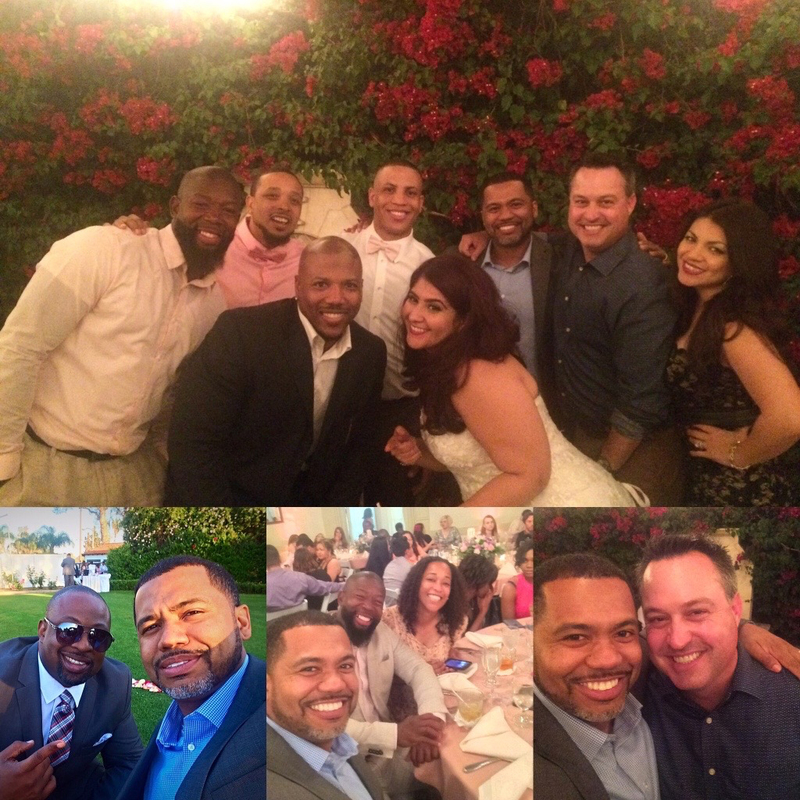 I flew to Long Beach on March 24 to attend the wedding of one of my best friends, James Weston. He (in the middle) is an original Freedom Writer, meaning he was in Erin Gruwell’s very first class with me. He is teacher now, and is doing a wonderful job with the kids! He also makes some of the best cookies around. I was also able to spend some time with another one of my best friends, Mr. Sharaud Moore (far left). He is now a loving father, great teacher and incredible track coach. I also spent some time with my cousin Juan (in between James and Sharaud), Terry (next to the bride), and Gary (right of me). These guys were with me during some of the hardest times of my life, and have been a support to me through the years. One of them told me, “Every time you stand on a stage, or grab a microphone, we are there with you.” I can’t tell you how much that means to me. When I speak, I carry with me the journey of my brothers and my sisters. I carry with me their pain, their hopes, their dreams; and, I try to give a very humane voice to the real struggles that many of us have faced. So often, well-meaning experts present data and impersonal theories during their talks about poverty and inequity, but so often do so in a way that, for me, fails to capture the essence of poverty and inequity. What many of my friends and I lived through was not just data or a theory; it was real life. I say all that to say that whenever I go home and see some of them, and enjoy their company, I am renewed and inspired to keep being a voice for so many who are voiceless. Many of us original Freedom Writers are doing well today. Many of us have moved on with our lives, and are happily married, with children, and careers. They are in completely new chapters in their lives, and are flourishing. To see them doing well does my heart SO GOOD! One of these days, I am going to bring some of these guys with me to events just so you can meet them for yourself. They will bless you, make you laugh, and inspire your soul. It is an honor to know them.